Do you have any convertible car seat? Looking for the best installation process of front & rear facing position? We are talking here about the installation process with detail information. 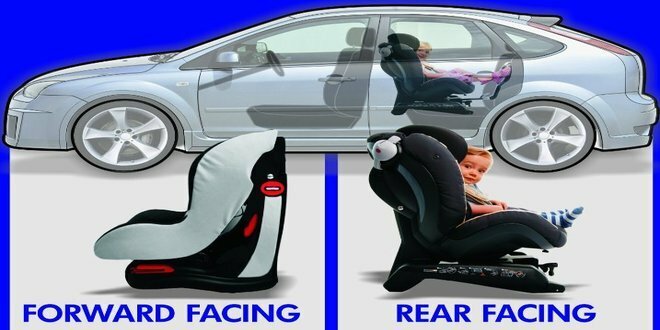 The manufacturers of the best convertible car seat have specially designed and made it to use it in both front and rear position. This is the main advantage of this special kind of seat. But the owners of these seats often find the installation process quite critical. Again many of them do not know how to install them in an accurate way. So we are going to discuss each installation process elaborately here. Hope our detail discussion will remove your all confusion and problem about installing it. Front or rear, every installation will be appeared as crystal clear after reading our whole article. You can consider it as our strong promise. First, we need to know that why our kids need to use the rear facing position. What is its necessity! Check first, according to the age and height of your kids, the rear position is appropriate for them or not. The rear facing is far safer than the front facing. Especially for the infants, the rear position is the best choice. They cannot tolerate the deadly force of the accidents. These small kids cannot keep their neck and head steadily by their own. Because; their muscle of the neck is not strong enough to tolerate those force. From a large study, we have come to know that in that position small kids face low pressure from the accidents. Again this position also keeps them safe from many serious injuries also. The weight of the kids should be from 30 pounds to 40 pounds. The children should be at least 5 pounds and 19 inches tall. Do not let the children use that position who are more than 40 pounds and 40 inches tall in height. You must have to fulfill the requirements. Do not skip any part of the requirements; otherwise, it can be deadly for your lovely kids. Before starting your installation, make some extra room by lifting up the front seat of the car. This free room will help you to do work without any hustle. For getting tight and appropriate fit, you will need free movement. Now choose the position from the back row of the car. It is best to choose the middle position. The middle seat is 48% safer than any other seat. If you find any problem in installing the seat on the middle seat, you can change the position. Now take the convertible seat in the selected position. Bring out the LATCH of the seat, if you want to install it with this way. You can also install it by the shoulder belt of the car seat. Both are effective to make the installation safe. So it is depending on you, which one will be more suitable to you. Choose anyone of them. To tighten the latch or seat belt, stand in the middle of the front and back seat of the car. Create pressure by using your stomach to push the convertible seat into the cars back. This pressure is necessary when you will pull the latch and seat belt to tighten. This leaning position will give you enough traction to tight these straps successfully. If you do not get enough room, you can sit or kneel beside your convertible car seat. Use your hand to pull the strap and tight the LATCH or Belt effectively. Like that pull strap from the other side of the seat. After tightening the straps, you should double check the straps. Do not use those straps which are twisted and yes, always double check these things before using it for your kids. Most of the experts always suggest working or installing the seat by using the instruction manuals of the car seat. It will make your installation easier and more secure. If you feel any confusion about installing it on your own, you can consult with any expert or technical advisor. You may also install it by taking your seat and car to any well-known expert’s workshop or you can hire them to install it in your home. When you need to switch your baby from rear-facing position to front-facing position, you should have the knowledge and idea. After becoming 2 years old or more than that age, your baby will cross the weight and height limitation of the rear-facing position. You should not keep your baby in that position when they are not suitable for this position anymore. You should think about changing their position immediately. So, you have to install the convertible seat in forward position. You know that this position is for the big kids who can tolerate the force of accident during any collision. At this age, their head and neck’s muscle become strong and give proper support to keep their neck and head stable. Again you need to consider their behavior also. Are they happy or become bored in their present position or not? If they feel bored after becoming 2 years old, you will be sure that this is the time to change their position. Before installing the seat, you need to create some free space or room to do your work without any hassle. To get this free room, you can lift the front seat of the car and it will give you the opportunity to stand in front of the convertible seat. Now you can move every side of the seat. To install your seat in that position, you have to apply a special kind of installation. Here, you can use Belt or LATCH to get a secured installation. If you go for LATCH installation, you have to use two types of the strap. One tether strap and two anchor straps will be needed. We always recommend one thing for our readers, use instruction manual all time during setting up the seat. Without using it, that will be difficult to get a secure installation. Do not compromise the safety issues of your kids. For front facing, you must have to use the tether anchor strap. It is specially used for this position. Normally every car has this tether anchor bar. But if you find the bar in the odd position and make the installation tough, you can manually install a tethered bar. So buckle the tether strap with the anchor bar first and tighten the strap minutely. Do not let the strap stay loose. The loose strap cannot hold your seat in its position and it becomes risky. After buckling it, go for the lower anchor straps. Take these straps one by one and buckle them carefully with the metal bar. Sometimes people cannot easily find out the bar. Actually, it is not tough. The bars have indicators and they are visible on the seats’ cover. It is an easier way to install it. After installing it, pull the seat from side to side or back to front, to be double sure about safe installation. If you want to install the seat using the seat belt, then you have also the solution of installing. Before introducing you to the installation process, we want to share an installation tip. If you do not find any free room to stand or lean, you can kneel on your knees beside the seat. By sitting both sides, you can easily tighten the seat belt to install it properly. Select a suitable place for this installation on your back row seat. We will suggest you install it on the middle seat or position of your back row seats. But every car has not seat belt for its middle seat. So you can choose the corner seats and use their shoulder belts to install. Pull out the shoulder belt from its reservoir and take as much as you need to use and buckle. Follow the instruction manuals, how you have to use the shoulder belt to set up the seat. After learning from the instruction book, do the setup step by step. Do not skip any part of its instruction. It can be deadly for your kids. Tighten the belt with your great body force. You have to install the seat when the belt is in locking mode. Normally every shoulder belt has automatic locking mode. Use the belt where it should be used and after that let the extra belt go back in. When you have inserted its extra unnecessary section, please check it that its locking mode is activated or not. By giving a gentle pull, you can be sure it’s locking. After tightening the belt, try to move the seat. If the seat is not moving from its place, then you will be sure that you have successfully installed it and this seat is ready for your baby. Convertible car seats last long and that is why they are inexpensive. Not only 1-month-old infants but also more than 2 years old children can use it without any risk. 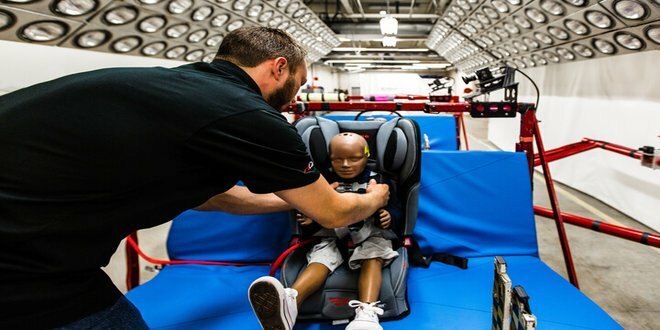 To get best advantages from this child car seat, we need to learn about its both positions’ installations. We have discussed here elaborately about them. We hope that both installation processes have now seemed to you like the two side of a coin. No one can give so much detail and step by step instruction like us. Please follow our installation processes and we can assure that you will be benefited. 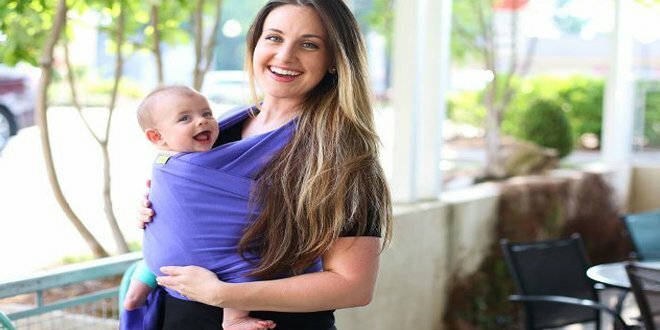 Is baby wearing better than car seat carrying?